Stunning .925 Sterling Silver candlestick set. An Italian classic beauty, strikingly simple with a distinct stature, the artist has made great emphasis in creating a structure with lot of Charachter while keeping the finish very simple and sleek. 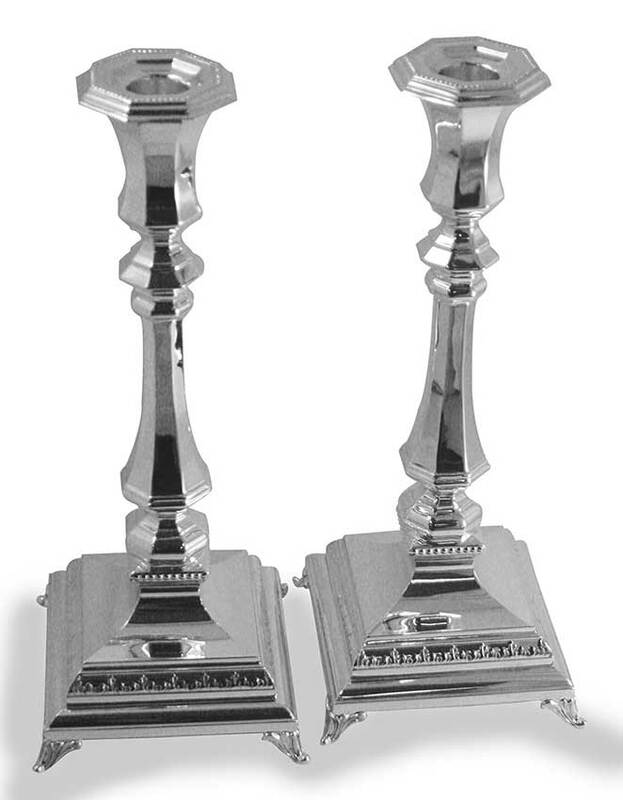 The long white burning Shabbat candles will add the final beauty to this Judaic heirloom.